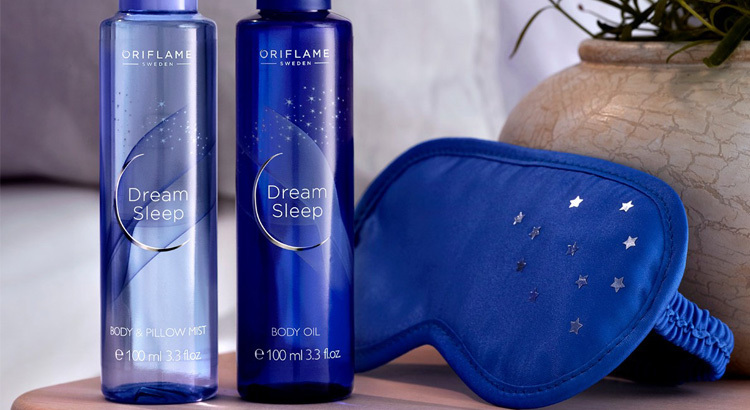 Create relaxing moments, appeasing your mind and body, before diving into a restful sleep – with our new Dream Sleep Collection from Oriflame. Enriched with essential oils and a pleasant Lavender fragrance for a proven relaxing effect. It helps to soothe the mind and body , to relieve stress and tension, and to promote a deep and restful sleep! With a restful sleep and an effective beauty routine , you wake up with a refreshed and energised look for a new day! 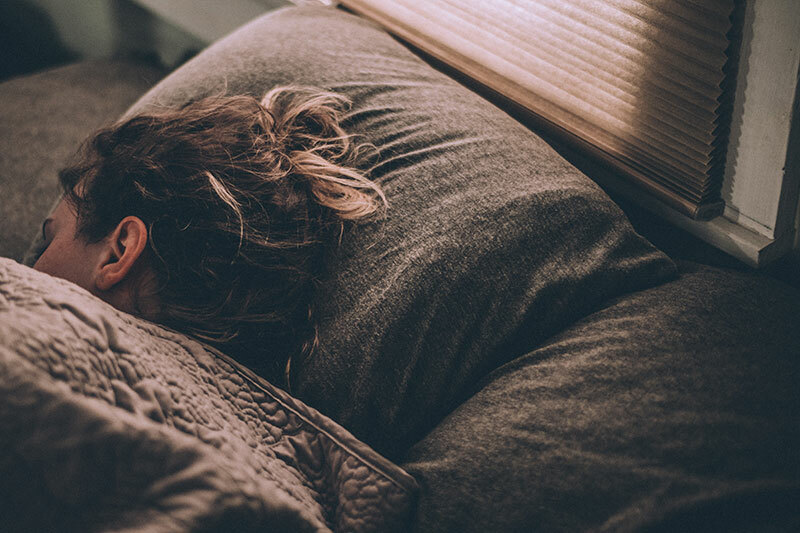 If you have trouble sleeping all night, then these tips are for you. With them you will be able to enjoy a more quality sleep and get rid of the paps in the eyes. Getting enough sleep can improve our concentration as well as our state of mind. But with all the stress we are subjected to daily, quiet sleep proves to be a difficult task. So we spend hours in the clear instead of giving the body what it so badly needs: quiet sleep. When going to bed, optimize the environment to appease the mind and prepare the body for the hours of sleep that follow. Move any blue lights, among other lights, into the room. A soothing song that calms you can be an asset. We also suggest that you read a book to get rid of everyday problems and tasks. Wearing an eye mask to create a dark environment works perfectly. Take advantage to purchase the Star Dreaming Sleeping Mask, ideal for a comfortable and peaceful night. A good night’s sleep is one that leaves you relaxed and full of vitality when you wake up. If this does not happen to you, then you need to adjust the cushions and mattress. Will they be comfortable for you or will they be causing you bedtime problems? Try to find the perfect balance between the height of the cushions and the softness of the mattress so as not to get back or neck pain. Some people find that using fragrances or sprays on their cushions may also help. Try the Dream Sleep Body and Cushion Spray, enriched with a lavender scent. Just a few vaporizations to turn your night into a quiet night. A long shower helps relieve stress and allows muscles and mind to relax. Enjoy a long shower before going to sleep. For even more intense action, apply the Dream Sleep Body Oil to the body after the shower. The ingredients of this oil, as well as its fragrance, will do wonders for your senses. With the finest ingredients, this oil is safe for all skin types and a perfect choice for anyone who needs a boost of tranquility. Try these tips and see how your nights can improve significantly. It’s time to fight the pockets and dark circles, and welcome the energy and good humour. 1. Begin your evening beauty ritual by applying Dream Sleep Body Oil directly onto clean skin to give it gentleness and hydration. Massage the oil gently into the skin to release tension and relax. 2. After applying Dream Sleep Body Oil, use the Body and Cushion Spray. Spray a little on the body and cushion to promote a deep and rested sleep. Spray this enriched Spray with essential oils in the body and / or cushion, releases a pleasant fragrance of lavender – its proven relaxing effect helps to promote a peaceful sleep. For a refreshed look when you wake up. Be and feel at your best! Limited edition. 100ml. Developed to hydrate the skin while soothing the mind and body, this Body Oil enriched with essential oils, and a pleasant lavender fragrance – its proven relaxing effect helps to promote a peaceful sleep. To wake up with a refreshed look! Limited edition. 100ml. This soft and padded Sleep Mask effectively filters light to help you sleep better. Ideal for use with Dream Sleep products to promote better quality sleep. Wake up refreshed and refreshed! Limited edition. Elastane, 18x7cm.